Adia is a 10 year old little girl who was born with Cerebral Palsy (CP). She is among the oldest of 9 children in her family, but still looks like an infant. 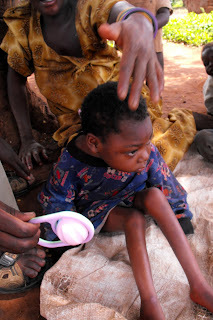 In August of 2009 she was infected with malaria; inflicting sores and swelling all over her body. 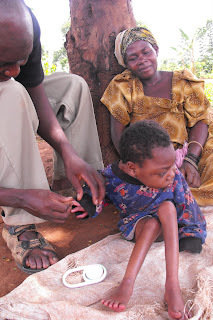 Adia is unable to feed herself so her mother has to soften her food to feed her gradually. If you or anyone one you know is looking to find a child to sponsor please consider Adia as you pray for God’s direction in this process. 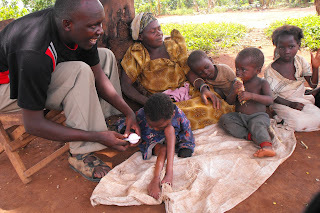 Together with Christ we can save children all over the World one child at a time. Let’s make a difference in the hearts of God’s children TODAY!